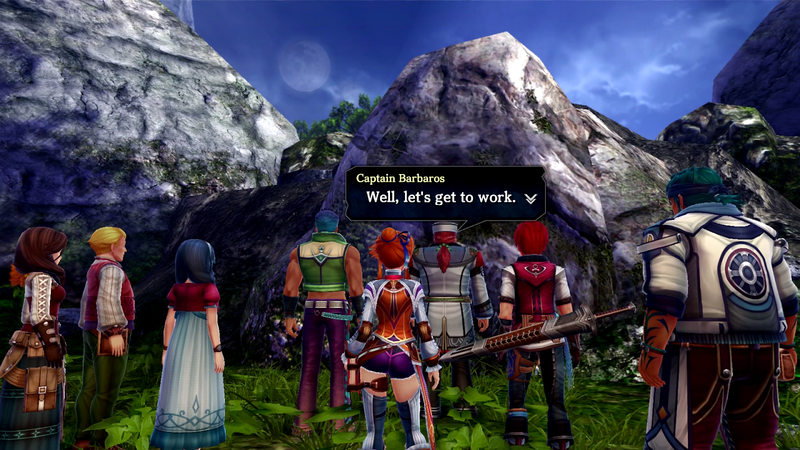 With the promise of being a big adventure on a deserted island, Ys VIII certainly delivers. Making one island somehow feel like a large world of its own, Ys VIII encouraged me to explore the many inches of its island thanks to its story and its great mechanics that help with exploring that slowly revealed more of this island as I played. But there’s more than just exploring an island to Ys VIII, with the adventurous spirit of its protagonist and the mysterious island making the story bigger than its initial premise and its well-paced reveal made this adventure intriguing throughout its six chapters, with more things to dive into post-game. In this rich island world, Ys VIII captures the spirit of adventure well, and its mysterious world with plenty to see and explore with its smooth gameplay makes it a fantastic fit on Nintendo Switch. 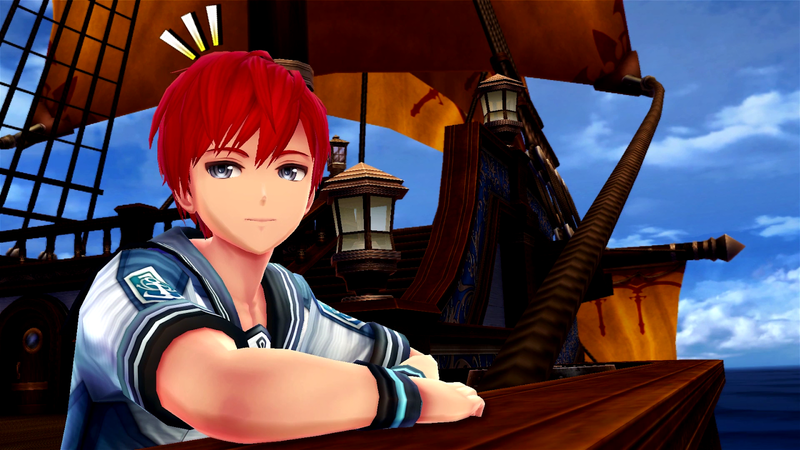 Ys VIII revolves around the series’ protagonist and adventurer Adol Christin who finds himself aboard a ship called the Lombardia that leads him to his next adventure in an unexpected way. The ship is attacked by a sea monster and he finds himself washed ashore on the Isle of Seiren, an uninhabited island full of monsters and undiscovered history, but also with no way back home in sight, so Adol and other castaways from the Lombardia form a settlement called Castaway Village and set out to find other castaways and a way off the cursed island. The shipwrecked on a deserted island premise is mixed with an extra twist where Adol finds himself having dreams that involve him experiencing the life of a blue-haired girl he’s never met, adding to the mystery of this island. As its six chapters progress, Ys VIII’s story reveals the mysteries of its island at a good pace and goes beyond its initial premise as Adol and his friends discover the secrets hiding on the Isle of Seiren. Aside from discovering its mysteries, as an unknown island with ship inhabitants needing to be found, a big part of Ys VIII is exploring this massive island to find them. This search isn’t so simple though, with it being full of all sorts of barriers and different ways to traverse it, and despite a lot of it looking fairly similar since water and overgrown trees and plants are the general visual aesthetic of the island, the way Adol and friends can travel through the island is what makes it more engaging. It starts off with regular running and jumping exploration, but the game slowly opens up as it gives you abilities such as being able to climb vines or walk across swam water to get to new places and seeing things each chapter that I couldn’t get to and then gaining the ability to get there a few chapters later gave many of these areas reasons to come back to them and its multi-leveled areas and secret paths made this island feel as big and mysterious as it’s described. On top of using its exploration mechanics to unlock new areas, even more can be found and used on the island as you find more castaways from The Lombardia. With some obstacles around the island requiring a certain crew size to be strong enough to push away big boulders and other things blocking off places, finding castaways adds both to the game's story and aids you on your journey. New castaways also help expand Castaway Village, adding new features based on each castaway’s skills, like finding a blacksmith castaway meaning you can develop your weapons or finding a tailor meaning you can get new clothes and armour, and being able to interact with the people working on the island really made it feel like a community, with the group constantly working together in raids or chiming in during story moments making each member feel like a valuable new member of Castaway Village. Adding new mechanics in this well felt great both story and gameplay wise and I’m already looking forward to going back to find any that I missed and trying the mechanics they have to offer. A part of being stuck on the Isle of Seiren is the large amount of monsters that inhabit it and it’s satisfyingly quick active battle system allows you to take down any foes along the way. 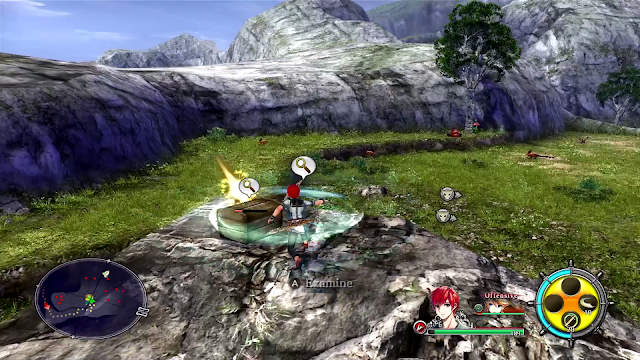 The combat feels like a mix of the usual active combat seen in RPGs and a hack and slash depending on how many enemies are around, with boss battles and running around the field requiring more strategic skill use and blocking, and the occasional village raids meaning blasting through enemies as quickly as possible bringing in the hack and slash feel. Adding strategy are enemies slowing down if you dodge attacks well and also the special attacks that build up as SP attacks connect, adding the strategy of picking the best time to use it and there are many skills that target enemies in different ways, such as doing long or short range damage or using different characters for different enemies, with characters such as Hummel and his guns making him better for flying enemies and characters with longer weapons such as Sahad being better suited to enemies with hard shells. The best part of this is you can switch who you’re controlling on the fly and while I had no issues with the AI controlling supporting characters, it was more fun to switch to who I needed and control things like special attacks to ensure maximum damage and to keep things engaging. I really enjoyed this active battle system for the amount of control it lets you have, especially with the amount of skills characters can learn and trying to pick the best member for each enemy made sure I was always engaged and never bored of taking down its monsters. With its smooth action gameplay, although Ys VIII was originally on PS4 (and on PS Vita and PC), it also runs smoothly and looks good on Nintendo Switch. 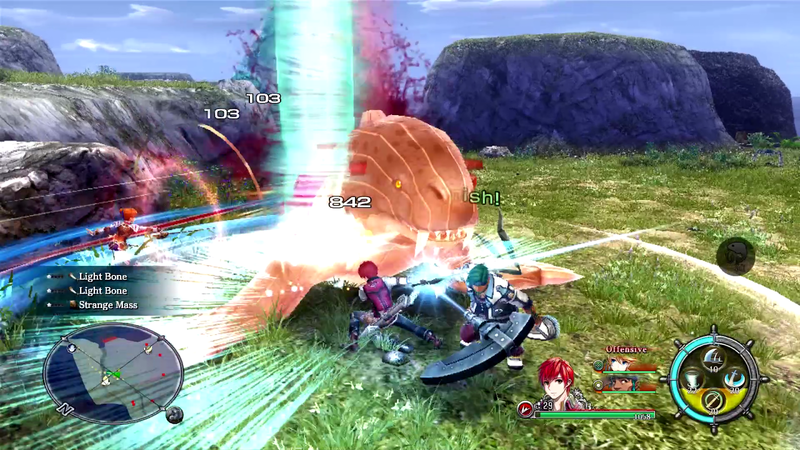 There is maybe a slight grainy appearance on some of the textures on the grass and brighter areas that make it look slightly less smooth than the original PS4 demo I played of Ys VIII, but in terms of games ported to portable devices, to me it looked fine and I was able to enjoy it in docked mode and handheld mode without any issue, which is a nice change compared to other ports I’ve tried. I did notice a few people on social media complaining about frame rate problems but it hasn’t been an issue for me, potentially meaning I just didn’t notice them or it was fixed up in one of the patches released while I played. The only thing I did notice was some enemies in the distance move slower than the ones up close which was occasionally distracting, but I didn’t find anything distracting enough to affect my gameplay or my enjoyment of its systems. I’m pretty sure I also played after at least one patch that fixed some of the initial problems people had with the localisation as I thankfully had no big issues with it, which I’m particularly happy about as I know its previous one had some problems. Overall, since I’m usually the type of person to try buy games on the console where it looks best, I was very happy with how it felt on Switch and was able to enjoy the look of its island, good English voice acting and its fantastic soundtrack without wishing I was playing its PS4 version. I’m glad Ys VIII is on Switch, as since I didn’t finish everything in it, I have plenty left to come back to. I have plenty of castaways I can run around its world to find and there is a fair bit of replayability to be done in general, especially with its multiple endings and difficulty modes, and many quests and hidden areas I left alone in my initial playthrough waiting for me when I come back to it. As an island full of secrets, while I have other games I want to play at the moment, Ys VIII is a game I’ll be keeping in mind the same way I keep other games with big worlds to explore in mind as fun worlds to explore when I have free time on the go, so I’m grateful this big island world is on Switch. Ys VIII’s pacing of its mechanics and surprisingly deep story really captured the adventurous spirit of its protagonist well in this interesting island journey. Its story surprised me with how deep it was and while I don’t want to spoil anything, it’s well worth trying if you think its mysteries seem interesting, both in its story and in its world. Exploring its world was a lot of fun thanks to its many mechanics and switching characters made taking down its enemies a very satisfying action-combat system. Although it wasn’t originally made for Switch, Ys VIII is a great game with an intriguing world to explore that fits well on it for those who like the idea of exploring an interesting world on the go and with many of its secrets waiting for me, I’d be happy to come back to this enjoyable world again soon. You can pick up Ys VIII on Amazon! Will you pick up Ys VIII? If so (or if you already have), will it be on Switch, PS4 or another system?